The Women’s Royal Naval Service, whose popular name was the “Wrens,” was one of the later Women’s War Service. It was started on the 28th November 1917 with the intention of organising women workers in connections with the Navy, the object being to do as much non-combatant work as possible, and thus release a number of men for more strenuous duties. Since the outbreak of World War One women had so many opportunities of working for soldier’s that it was a happy as well as a useful idea to raise this service and thus give them the opportunity of doing something for the Navy. A number of women responded directly recruiting started. They enrolled for the duration of war; but if the war should be over in less than a year from the time of their enrolment they must serve for one year. There were two branches of service, mobile and immobile. The former could be sent to work anywhere in the United Kingdom: the latter were those who, still living at home, were engaged locally. This plan, which was also followed out in other corps, enabled women to join, who otherwise could not do so, and also helped to solve the housing difficulty, which in the early stages of the First World War was very acute. The members not living at home and hostels provided for them when possible, or else resided in approved lodgings. They wore a serviceable but smart blue uniform, and, when their work required it, overalls. The motor-drivers had special additions to their uniform suitable to their work. The officers were trained at the Crystal Palace, and from there were sent off to their allotted appointments. In the technical branch there were women engaged in what before the first World war a man’s world. Many trades were classified in the engineering groups; they included coppersmith’s, tinsmiths, plumbers, fitters, and practically every branch of work undertaken in an engineering shed. A good deal of electrical work was also done. There were sail-makers, armourers, and gun cleaners; photographers were another group of workers; tracers and draughtswomen another. Women who were skilled received a higher salary then the unskilled, but new members were taught a skilled trade, and then received pay equal to that of their sisters. 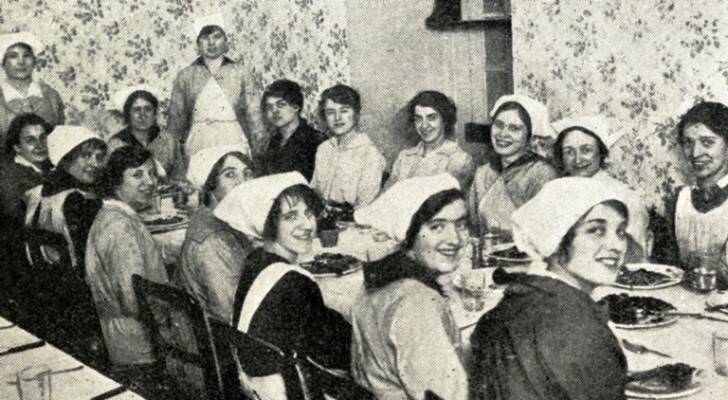 The pay for the “Wrens” was a fair wage without being a fancy one, and the women who joined felt that they were doing a real share of war work and, although in many instances skilled workers could obtain a far higher salary if working for a private firm, they were content to join up and work for a higher motive than money. The uniform had always to be worn, and no mufti was allowed to officers and ratings of their mobile branch, but the immobile could wear mufti in their homes. A fortnights leave was allowed to officers and ratings for each years’ service. In exceptional circumstances extra leave was allowed, but no pay was given for the extra time. The women had a fixed amount deducted from their pay to cover their expenses at hostels or lodgings where they were. The immobile women who lived at home had no reduction made from their pay. The “Wrens” came directly under the Admiralty. On enrolment applicants had to fill in a special form, and among other things agreed that, in matters of discipline, the decision of a naval or W.R.N.S officer was final; indeed, the form went on to say “in all matters relating to your service,” so that the “Wrens” really felt they were in the navy. By the end of the war the Wren’s had 5,500 members, 500 of them officers. In addition, about 2000 members of the WRAF had previously served with the WRNS supporting the Royal Naval Air Service and were transferred on the creation of the Royal Air Force. 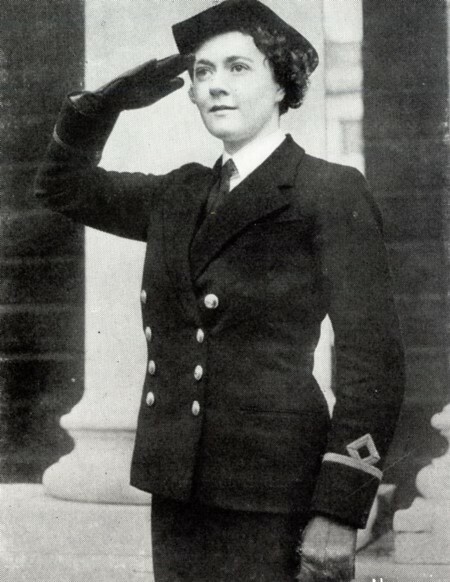 The Women’s Royal Naval Service was disbanded in 1919, and then later revived in 1939 at the beginning of the Second World War, with an expanded list of allowable activities, including flying transport planes. The Women’s Royal Naval Service in World War Two. “The WRENS” were the only members of the Women’s Service who have retained the pet name devised for them in the First World War. 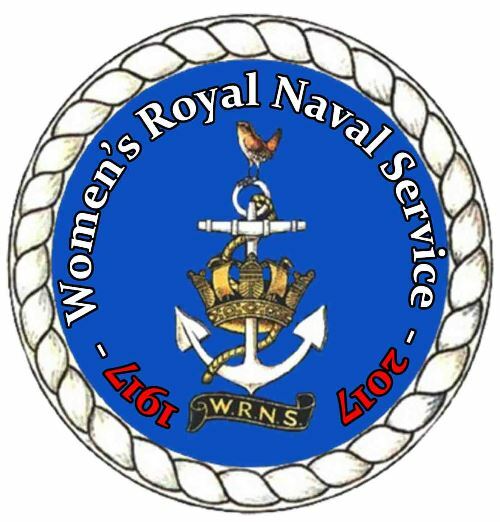 When the women’s Royal Naval Service was formed in 1917, “W.R.N.S.” immediately became “Wrens” and remained so. When the W.R.N.S. 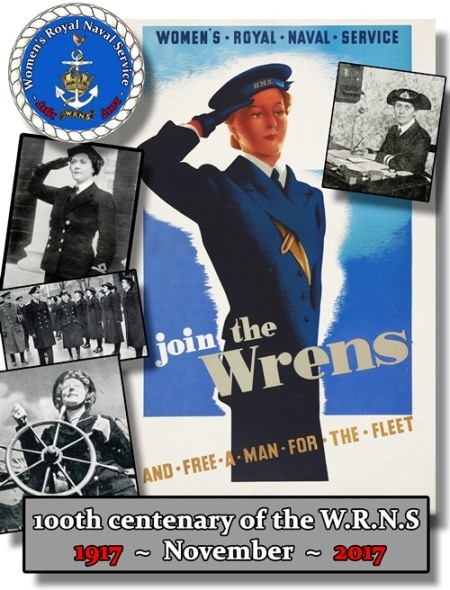 was disbanded at the end of the Great War, “the Wrens” remained as an Association, and some of its members immediately entered the 1939 Service. It could not be so with the “Waacs” who, in joining the Auxiliary Territorial Service, earned the new name of “ATS”: nor with “the Wrafs” who, as the Women’s Auxiliary Air Forces, are known as the “Waafs”. Although only formed in July 1939, and but an embryo organisation when war broke out, as an arm of the Navy, the W.R.N. S’s is the Senior Women’s Service. It was the smallest of the Women’s Services, having about 2,500 members, because it serves the Navy, which in wartime is mainly afloat, and the Admiralty will not allow its sailor-women to go to sea. The uniform during World War Two was a double-breasted coat with the same cut as that of the officer, with split sides, but the buttons were black instead of gold. It was worn over a white with turn-down collar and black tie. The skirt is flared. Ratings on general work would wear a round hat with turned-up sides having a ribbon bearing the name of the “ship” to which they are attached. Officers retain the old three-cornered Nelson hat. The Wrens were reconciled to black stockings because naval officers wear black socks! In all things they want to be like the Navy. Regulations are the same, leave is the same. The Chief Officers of the Wrens, at a port even consults the Vice -Admiral as to penalties for breaking regulations. The most serious crimes were over-staying leave and absence from duty. The Wrens kept “watches” and naval time was used. The transport ratings go on duty at 07.00 to 13.00 (7am to 1pm) and again from 19.00 to 21.00 (7pm to 9pm). Next day they are free until the watch 13.00 to 19.00. The W.R.N.S. officers had the rings on their uniforms in blue instead of in gold. The ratings always salute them and address them as “Mam,” which, although adopted by the “Ats” and the “Waafs,” is a sailor’s term. At its peak in 1944 it had 75,000 active servicewomen. During the second World War there were 100 deaths. It remained in existence after the war and was finally integrated into the regular Royal Navy in 1993. Women sailors are however still known as wrens or Jennies (Jenny Wrens) in naval slang. 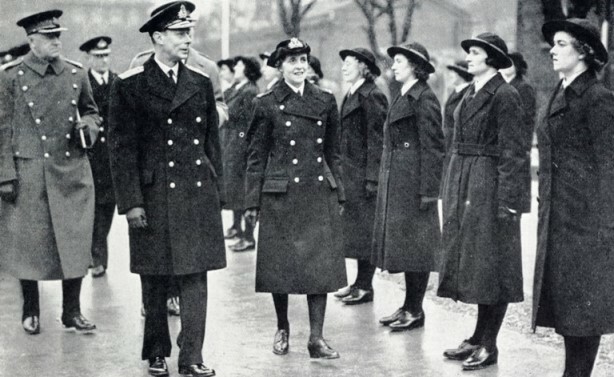 Before 1993, all women in the Royal Navy were members of the WRNS except nurses, who joined (and still join) Queen Alexandra's Royal Naval Nursing Service, and medical and dental officers, who were commissioned directly into the Royal Navy, held RN ranks, and wore WRNS uniform with gold RN insignia. The WRNS was established in 1917, and excellent records were kept for women in the service; the remaining documents can be found in several classes at the National Archives, which include ADM 318, ADM 336 and ADM 321 according to the ‘Get Started in Military Family History’ guide. Several records are listed on our site, and can be found through a unit search, mostly from the IWGC and ‘Gazetted Awards & Mentions in Despatches Registers’ collections, with one or two from the ‘Royal Navy Inter War 1918-39 roll’. Rarely, a WREN working for the Ministry of Supply can be found in the ‘UK Army List 1945’ (often post 1921 records are retained by the Navy, though).